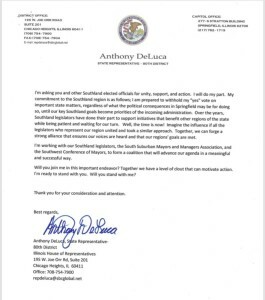 On Wednesday, January 9th, at the University of Illinois Springfield, State Representative Anthony DeLuca took the oath of office to serve in the Illinois House of Representatives, in the 101st General Assembly. We are also pleased to inform you Rep DeLuca will continue to serve as Chairman of the House Cities & Villages Committee. 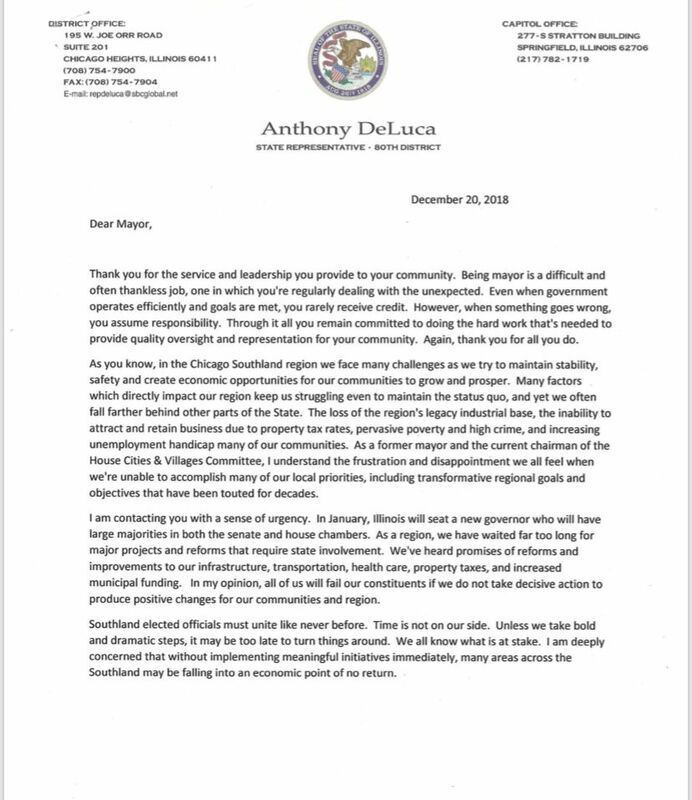 To keep you informed of Rep. DeLuca’s ongoing efforts to improve the quality of life in our region, please see the attached letter recently sent to 65 mayors in the Chicago Southland. 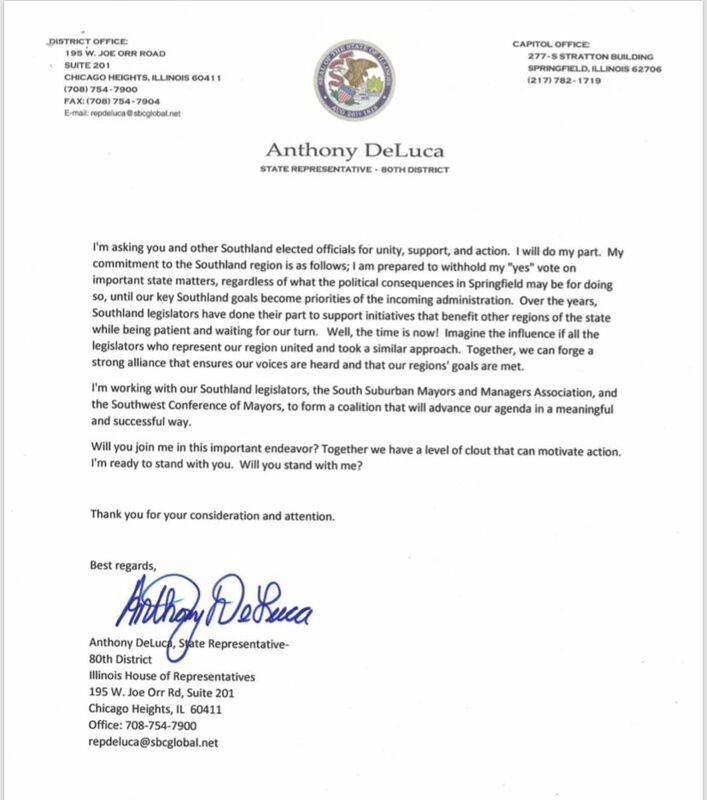 Rep DeLuca has promised to be a strong leader on your behalf and during this upcoming legislative session, many complex and controversial issues will be dealt with. 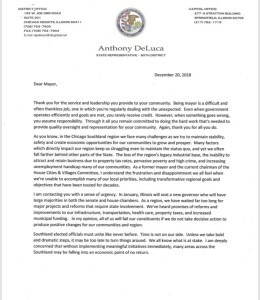 As we move forward, Rep. DeLuca is asking for your continued support as he works to advance our important goals of safe neighborhoods, successful schools, and a robust economic opportunity for all. Thank you for your help. We welcome your feedback and we will continue to keep you informed on all issues.